Bookings for holidays in Greece in 2018 by Swiss travelers have so far recorded a double-digit increase up to 15 percent, the Greek National Tourism Organization (GNTO) said on Tuesday, following its participation in the FESPO 2018 fair in Zurich, Switzerland. A leading holiday and travel fair in Switzerland, FESPO 2018 was held January 25-28 at the Messe Zurich expo center. 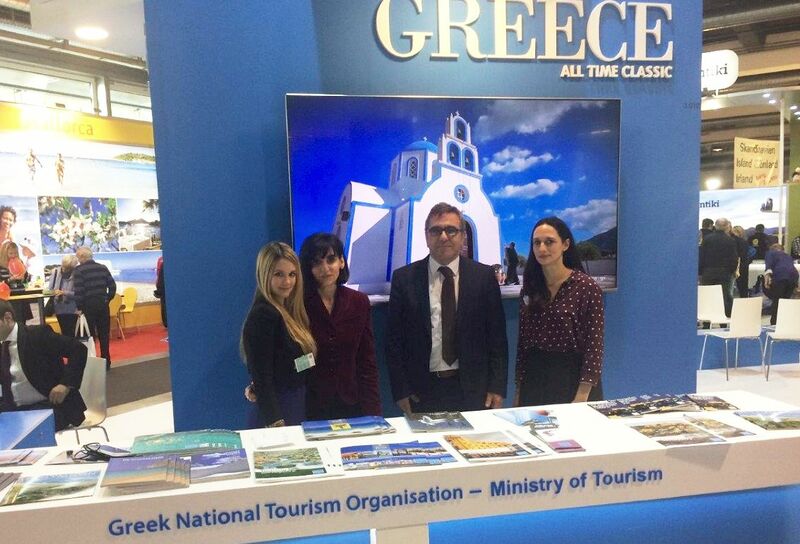 The GNTO stand was inaugurated by secretary general Konstantinos Tsegas, who held a number of meetings with representatives of some of Switzerland’s leading travel groups and enterprises specializing in alternative tourism. Tsegas also focused on Greece’s winter destinations as part of the efforts of Tourism Minister Elena Kountoura to make Greece an attractive year-round tourism destination. According to an announcement, representatives of the Swiss travel and tourism market confirmed the upward trend in bookings for Greece this year, which they said is up by 15 percent compared to the same period in 2017. “The large number of guests that visited the stand of GNTO confirm the increasing demand and interest for lesser-known Greek destinations,” the organization said. In order to further attract travelers from the Swiss market, the office of GNTO in Austria, which is also responsible for Switzerland, is planning to organize a number of events for local tour operators, including fam and press trips to Greek destinations. The FESPO expo receives more than 65,000 visitors, also revealing the trends in the demanding Swiss market.